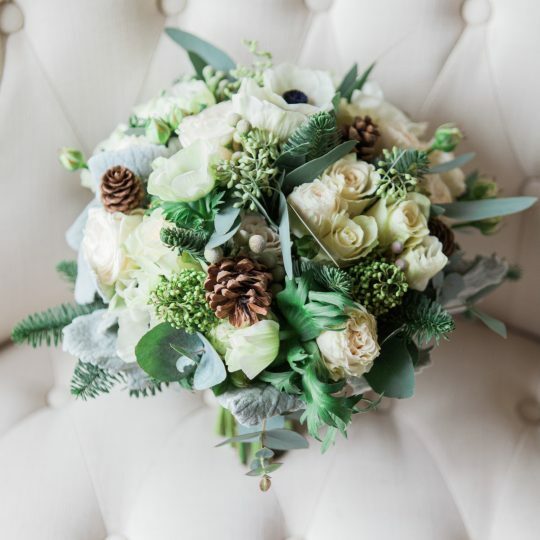 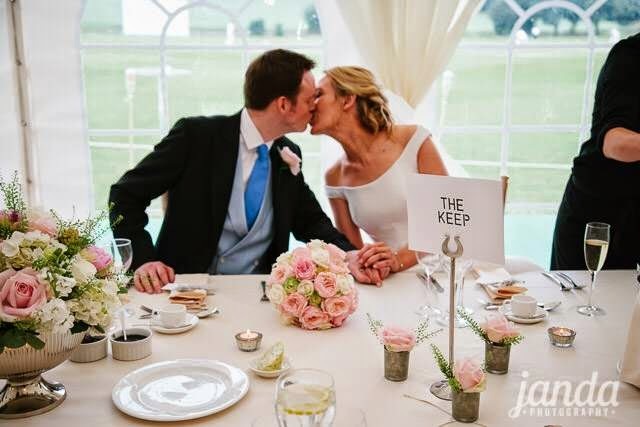 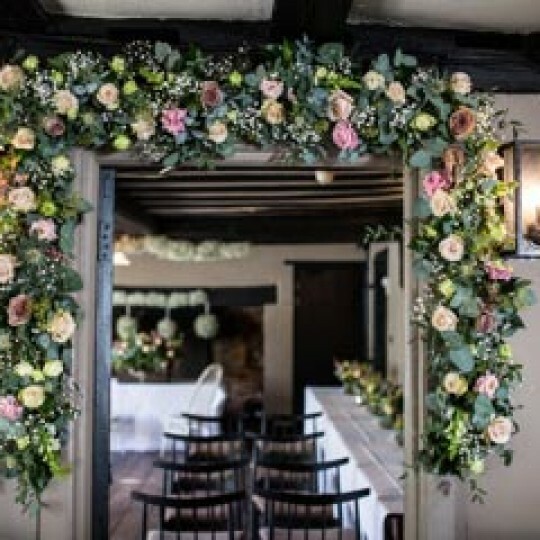 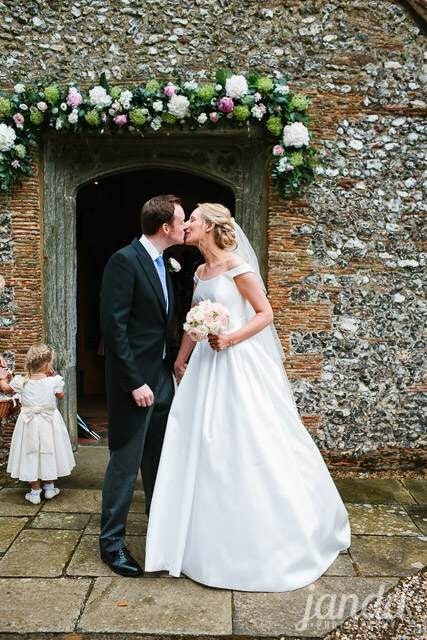 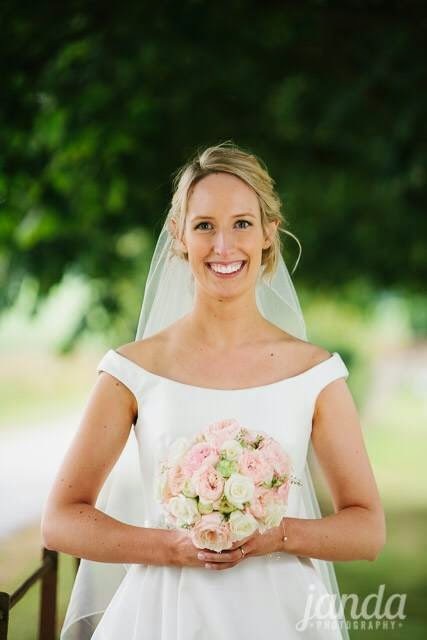 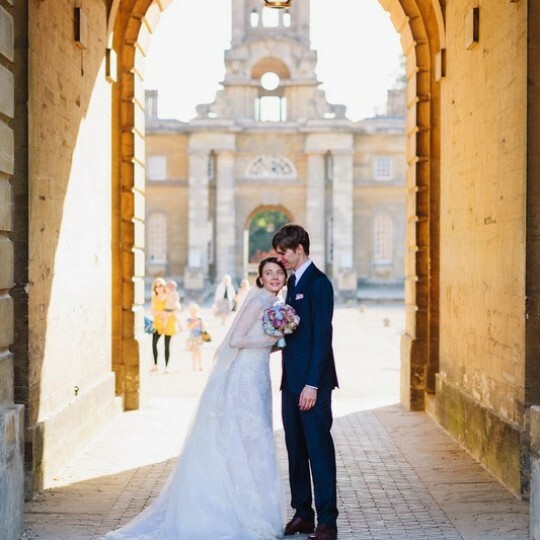 Charlotte and Henry's Marquee Wedding Flowers, Buckinghamshire - Joanna Carter Wedding Flowers | Oxford, Oxfordshire, Berkshire, Buckinghamshire and London. 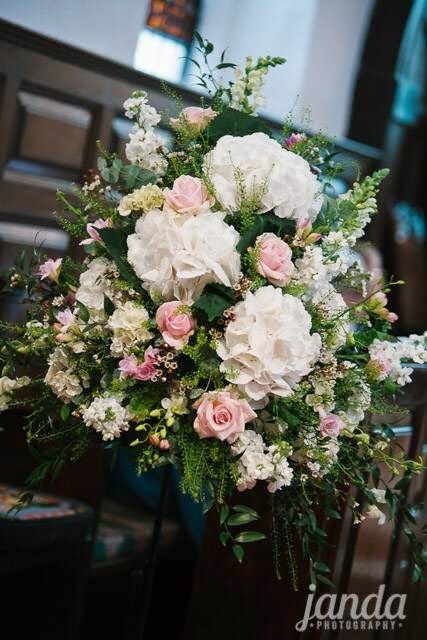 Charlotte chose soft pinks and ivories for her colours and used David Austin’s lovely soft pink keira rose in her bouquet. 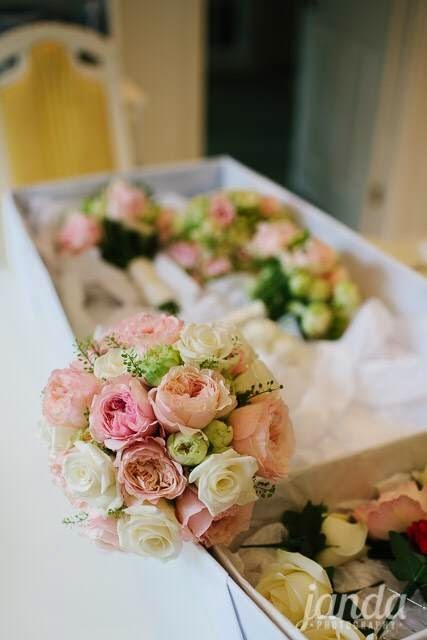 Mixed with ivory and other soft pink roses it was delicate and lovely. 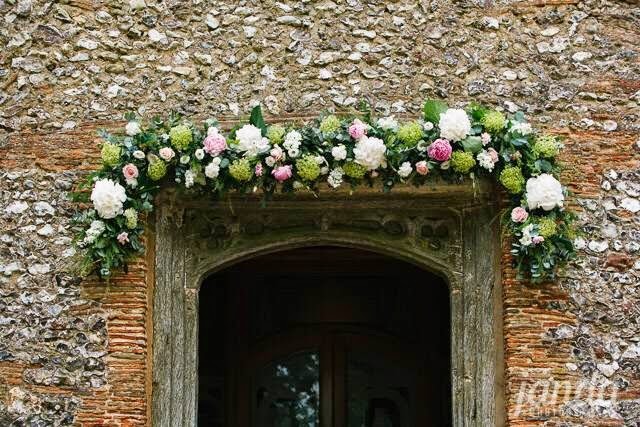 At the church we hung a flower filled swag over the main door to welcome guests and then placed large pedestal arrangements at the top of the aisle. 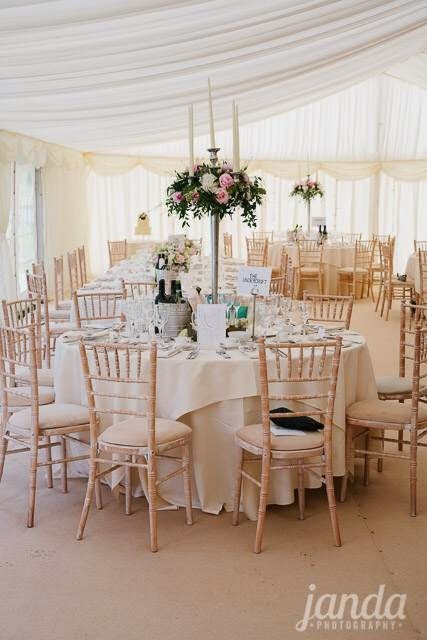 The ushers later moved the pedestal arrangements to the marquee ready for the reception. 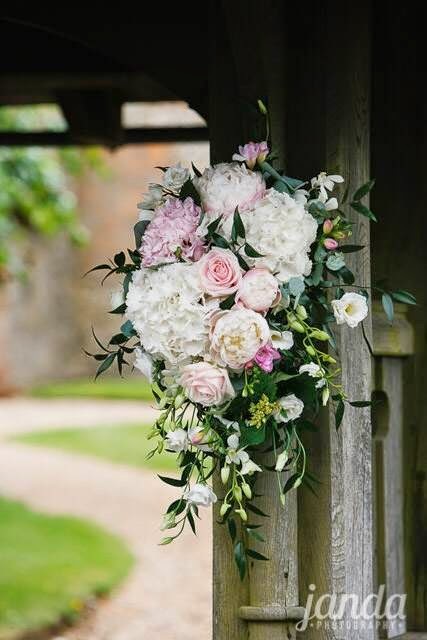 We placed swags on the lychgate to welcome guests as they arrived at the church. 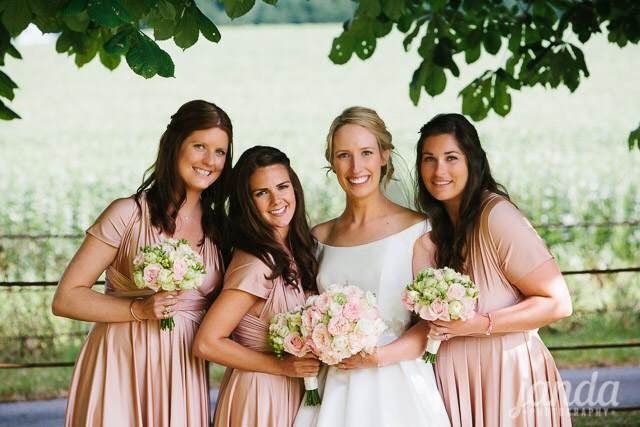 Charlotte’s bridesmaids carried bouquets of pale pink roses and ivory spray roses. 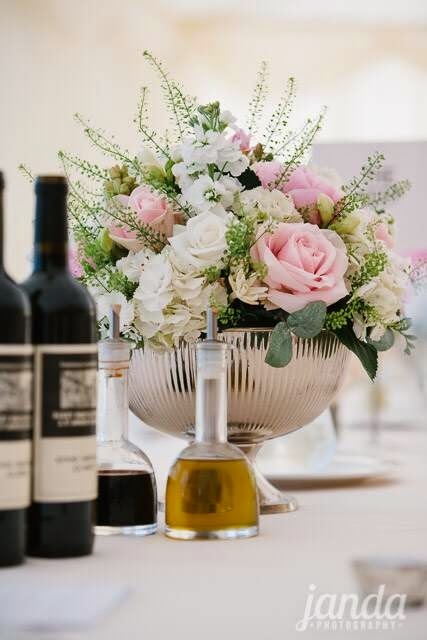 At the marquee reception we used a mix of tall silver candelabra and low silver rose bowls on the tables. 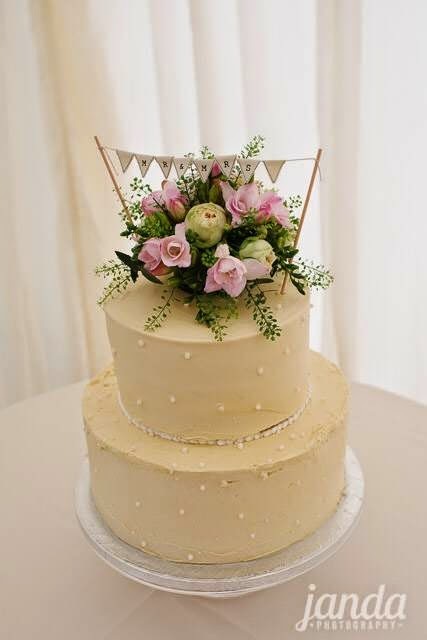 The cake had a sweet little row of bunting on the top which we placed around a small dome of flowers, really pretty!